Magnetic balancer precisely balances any prop. Accomodates 1/8", 3/16" and 1/4" hubs. All CNC-Machined Billet aluminum is black anodized and finish-machined for a "classic" look. Magnets are high-power and adjustable for re-sharpened shaft points. 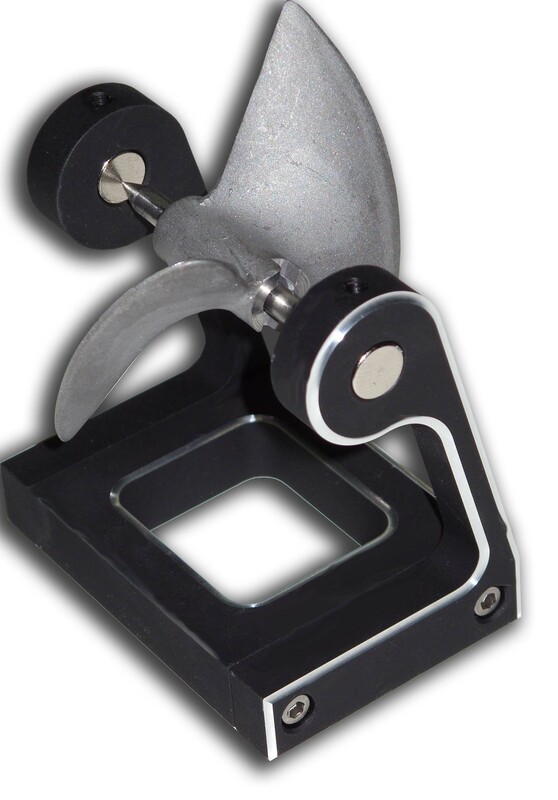 A perfect addition to the Boaters tool arsenal! As seen in RC Driver "How To", August, 2010! !